Or Fridays 4:30-6:30 PM at locations near you. 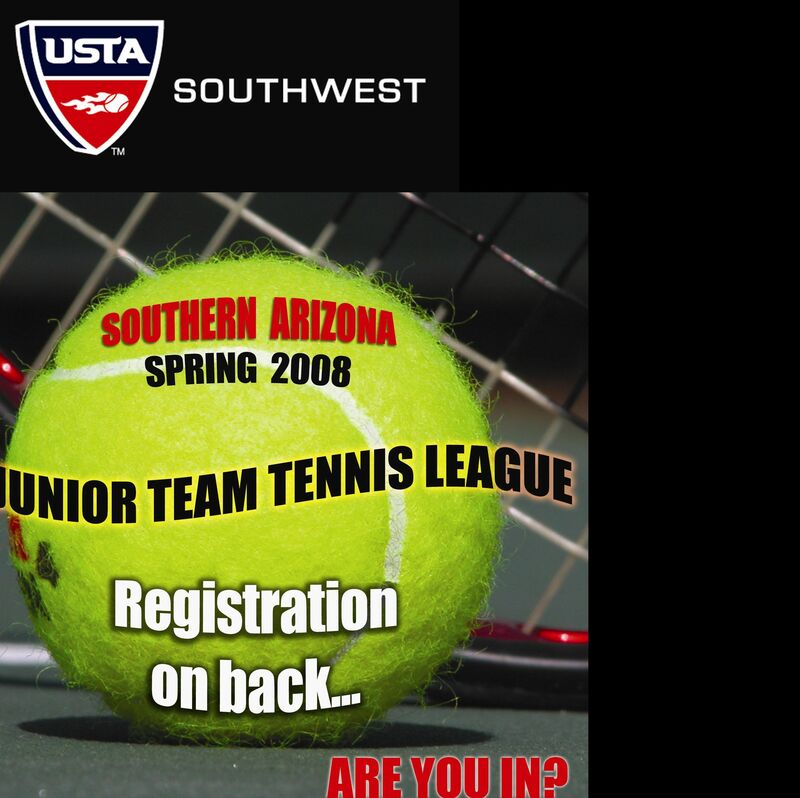 Acceptance of entry in any event is without assumption of responsibility of any kind to the Southern Arizona Tennis Association. In consideration of the acceptance of my membership, I do hereby and on behalf of myself and my heirs and legal representatives, release and forever discharge the Southern Arizona Tennis Association of and from any and all claims and demands of every kind, nature and character which I may have hereafter acquire for any and all damages, losses or injuries which may be suffered or sustained by me.